Tues. Oct. 10, 2017 7:30–9 p.m.
Why has it been so difficult to insure healthcare coverage for everyone? 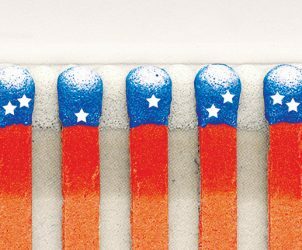 From Roosevelt to Trump, Shalala traces how history, politics and complexity have all contributed to our failure to achieve high quality care for everyone, and explores ways we can move forward. Admission is free. Advance registration is required. UWAA and UWRA members may register now. Registration for the general public opens Sept. 8. This lecture has reached capacity. As a courtesy, the Graduate School will offer standby seating on a first-come, first-served basis beginning at 6:45 pm in Kane Hall. Any reserved seats not taken by 7:15 pm will be offered to our guests in the standby line. Part of the Equity and Difference: Rights lecture series. Produced in partnership with the University of Washington Graduate School. 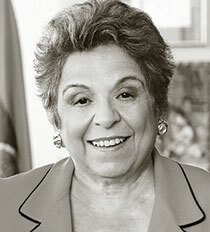 Donna E. Shalala is the president of the Clinton Foundation. Previously, she served as president of the University of Miami and professor of political science. Donna received her A.B. in history from Western College for Women and her Ph.D. from Maxwell School of Citizenship and Public Affairs, Syracuse University. She served as president of Hunter College of CUNY from 1980 to 1987, and as chancellor of the University of Wisconsin-Madison from 1987 to 1993. In 1993, President Clinton nominated her as Secretary for Health and Human Services (HHS) where she served for eight years. In 2008, President Bush presented her with the Presidential Medal of Freedom, the nation’s highest civilian award. A member of the Council on Foreign Relations, she served as a Peace Corps volunteer in Iran from 1962-1964. In 2010, she received the Nelson Mandela Award for Health and Human Rights recognizing her dedication to improving the health and life chances of disadvantaged populations in South Africa and internationally. Visionary personalities from around the nation take on array of topics & themes.